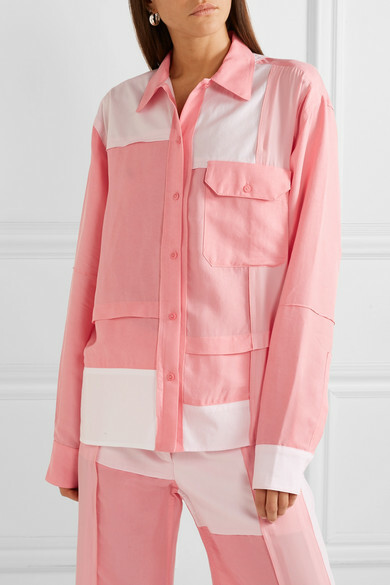 Jonathan Anderson's Spring '19 collection is his interpretation of what 'bohemian' looks like - think fluid fabrics, handkerchief hemlines and the tonal patchwork seen on this button-down shirt. 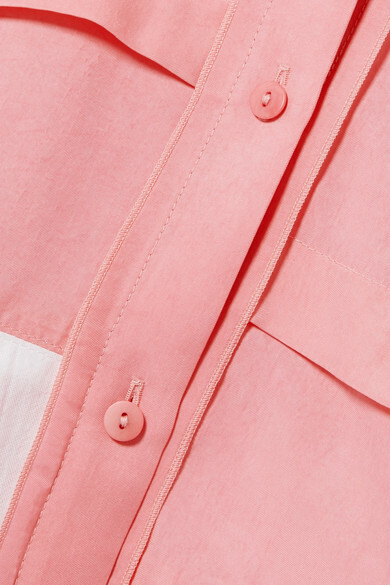 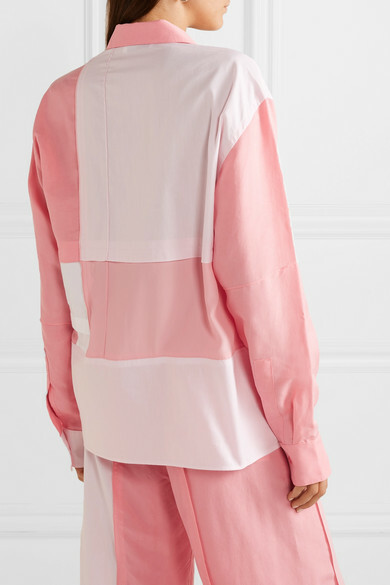 It has an oversized fit and is made from panels of tonal-pink brushed-twill, cotton and crepe de chine. 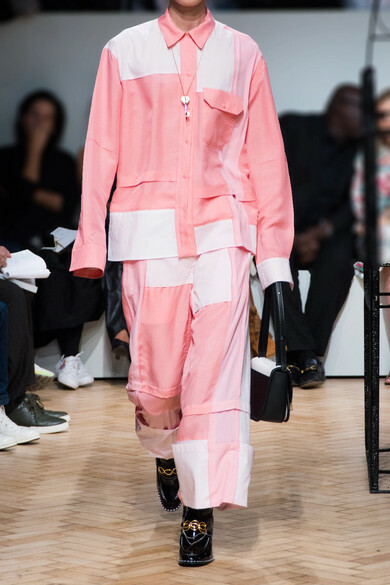 Team yours with the matching pants, as seen at the show. 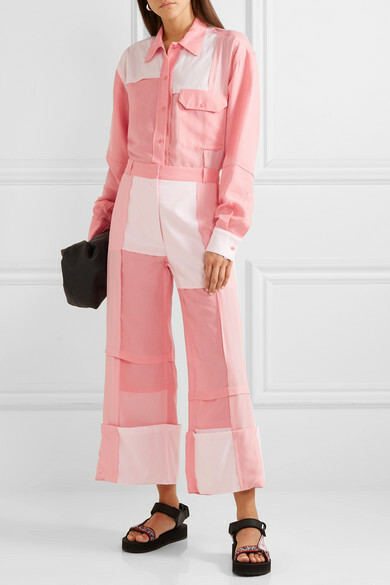 Shown here with: The Row Shoulder bag, Prada Sandals, Sophie Buhai Earrings.